Best Chinese Knives: New and back in stock knives on AliExpress (Extrema Ratio, Cold Steel, Brous Blades, Microtech, Lionsteel, District 9, A Dai, CKF, Assimetric Clones) - Check them out! 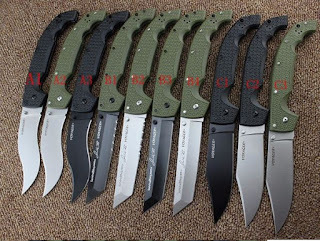 New and back in stock knives on AliExpress (Extrema Ratio, Cold Steel, Brous Blades, Microtech, Lionsteel, District 9, A Dai, CKF, Assimetric Clones) - Check them out! There are some new and back in stock folders and fixed blades, that I think are interesting and that you would like to know about, so I decided to post them in one article, just links and pictures. The specifications of these knives are available in the description section of each lot. If you have any questions about those and would like to know more about these knives - please post in the comment section and I will answer.